FlipFinz | Endless addictive fun - Spin it, twirl it, flip it! Spin it, twirl it, flip it and light it up! 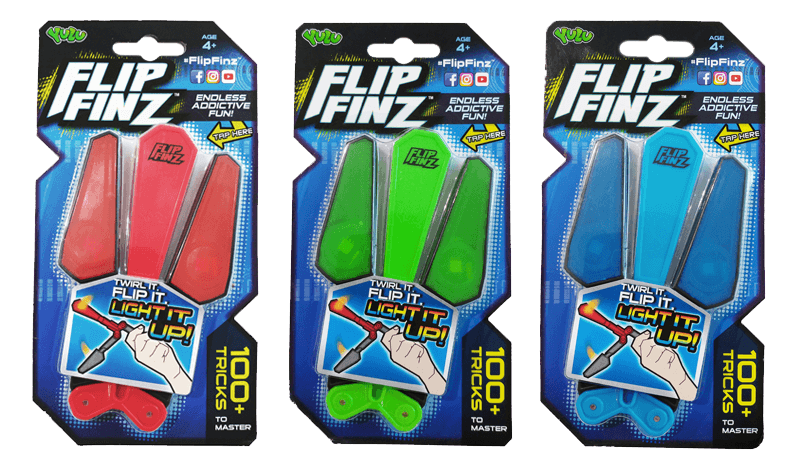 Flip Finz is the next generation of fun skill and action toys that build hand-eye coordination. It has a unique shape and each ‘fin’ contains a bright LED light that pulses with each move, so you can play all day and night. With over 100+ tricks, Flip Finz provides non stop exciting challenges for you to master.